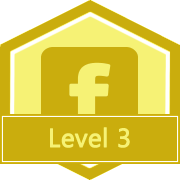 ​Click on the image below to let your followers know you've earned this badge! Privacy is a major concern when using Facebook for education purposes. One popular workaround for this is Facebook pages. Facebook pages are essentially separate profiles (separate from your personal account) which allow you to collate and share resources. 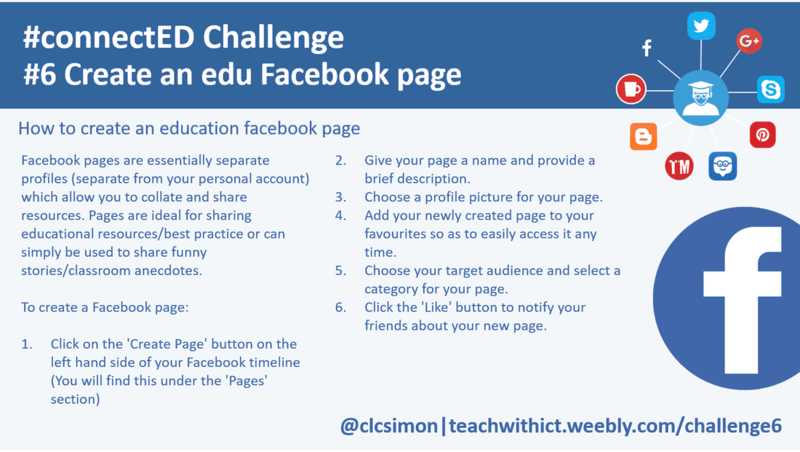 Pages are ideal for sharing educational resources/best practice or can simply be used to share funny stories/classroom anecdotes. 2. Give your page a name and provide a brief description. 3. 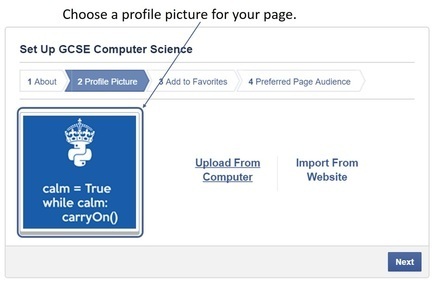 Choose a profile picture for your page. 4. Add your newly created page to your favourites so as to easily access it any time. 5. 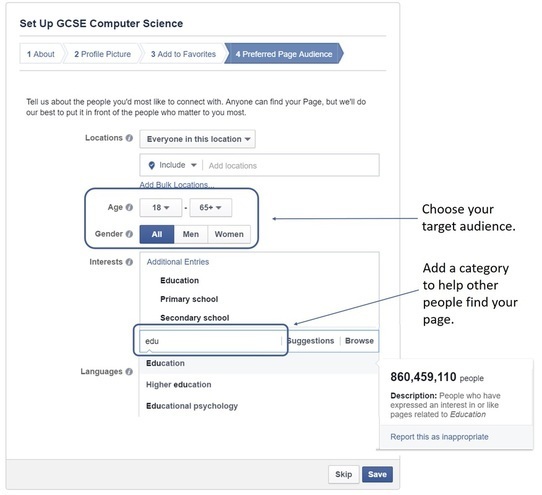 Choose your target audience and select a category for your page. 6. Click the 'Like' button to notify your friends about your new page.